Popular for centuries, bed canopies have been a long-standing decoration with origins in medieval Europe. Initially designed for practical purposes such as privacy and keeping out bugs, bed canopies have since become a decorative addition to many beds. Some people may be under the impression that only people with four-poster beds can have canopies but that isn’t the case. Many modern canopies have been designed to work well with any type of bed – adding a new level of flexibility. 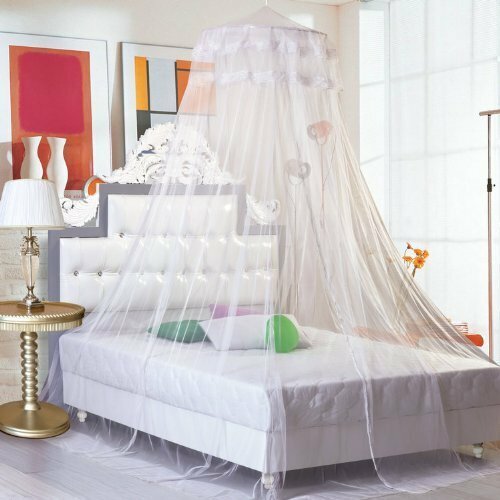 Adding a canopy to your bed can give your room a new level of elegance and style. Take a look at 10 canopies that will look great in your room. Designed to work with a four poster bed, this canopy will transform your bed into the beautiful “palace you have always dreamed of”. A dome design allows this canopy to be used with almost any type of bed. 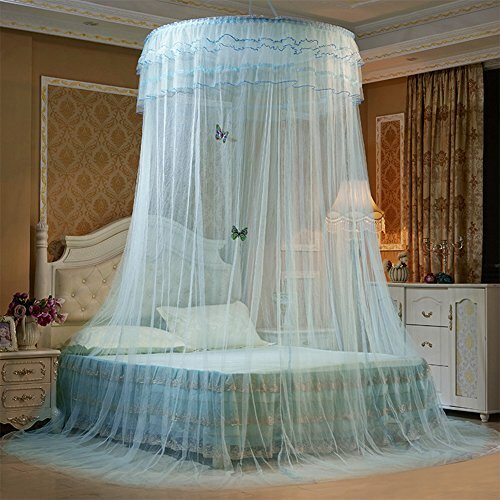 In addition to looking great, it can also keep mosquitos at bay while you sleep. Adults aren’t the only ones who can enjoy bed canopies. 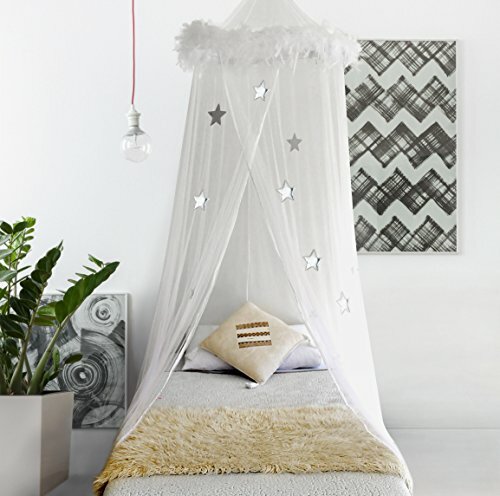 This cool canopy features feathers and stars and can be the perfect addition to a small child’s room. Designed for indoor and outdoor use, this bold black canopy is durable and practical and perfect for keeping out mosquitoes or simply adding some flair to your space. 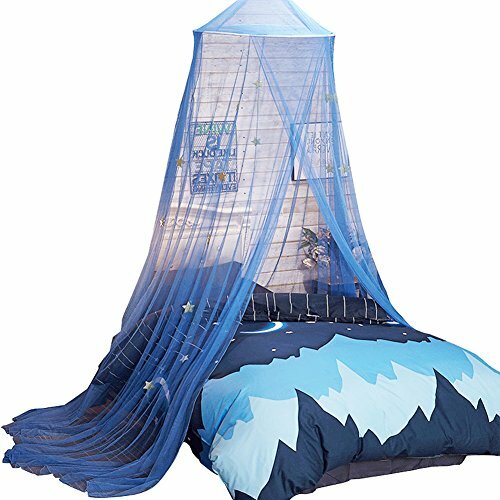 This item is made from high-quality cotton and offers a fantasy like atmosphere for any child who steps inside. If you’re looking for a cool way to add a pop of color to a bed, utilizing a canopy might just be the way to do that. 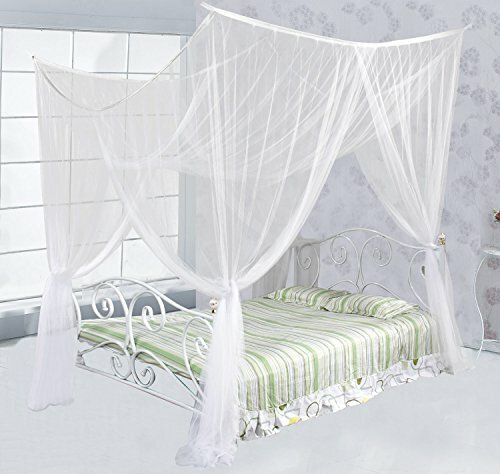 This beautiful canopy will enhance your bedroom’s decor by giving your bed a lavish sense of privacy. 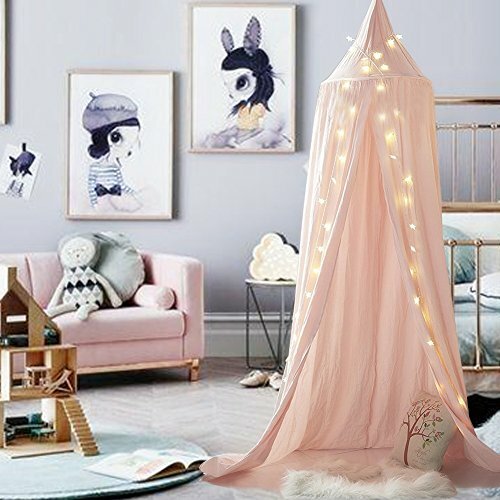 If you want to give your little girl the princess bedroom she’s always dreamed of, this bed canopy is just what you need to make her space extra special. 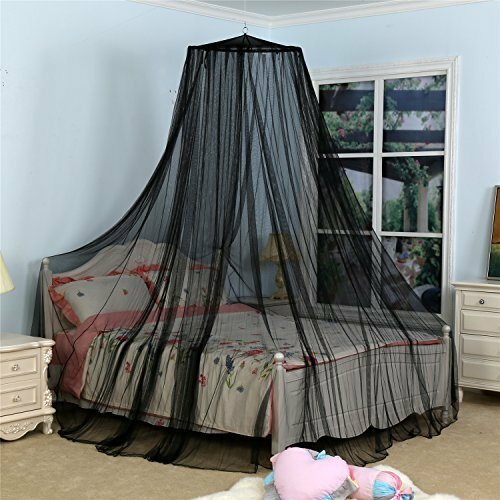 Made to fit a full, queen, or king sized bed, this mosquito net is the perfect combination of simple and elegant. Who says you don’t deserve to sleep like a king or queen? 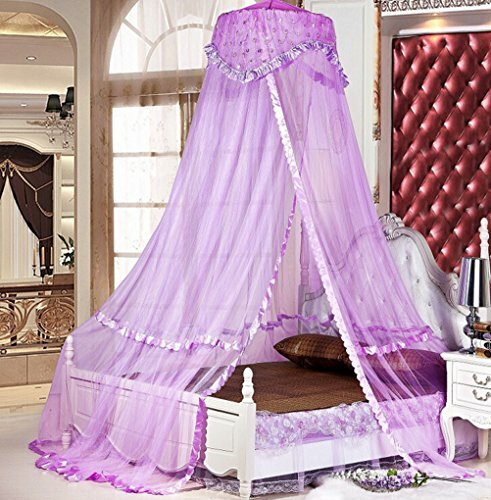 This beautiful lace bed canopy will give you just that.